Garden furniture is a vital part of any garden. Having a place to comfortably relax and get the best out of your outdoor living can be a great way to get the fresh air needed to maintain a healthy mind. However, we understand that needs are ever changing which is why we are always updating and releasing new garden furniture, whether it be garden sofas or a dining table. This means we often have outdoor living items put into clearance. Dining sets, bistro sets, sun loungers and garden accessories can all be found in our garden furniture clearance. So be sure to act fast, as once they're gone, they're gone! With just one selection from our garden furniture range, in no time you could be providing your guests with luxury seating that they are guaranteed to enjoy. 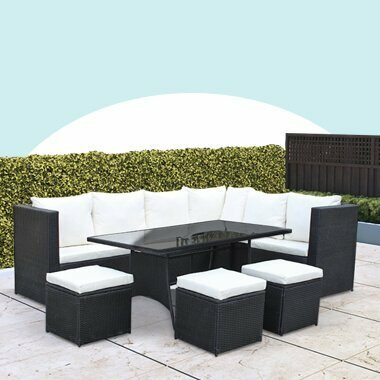 You may even find that your guests stay longer due to not wanting to move away from the much needed comfort that is BillyOh garden furniture.